Choosing your wedding venue when you can’t physically get there to see it in person, can be stressful. We have been fortunate to work with lots of couples to help them navigate this challenge. One of our favorite stories so far is from a couple that is getting married this May, Kristie and Sam. Kristie and Sam were both living in Massachusetts when they met in 2010. In 2014, Sam’s job took them to Sydney, Australia. After one long flight back to their apartment in Australia, Sam came home, knocked on their front door and when Kristie opened it, he was down on one knee asking her to spend the rest of her life with him. She said ‘yes’. From over 10,000 miles away they started planning one of the best days of their lives. They had some unique challenges but succeeded. Know what you are looking for – Have a list of things that are deal-breakers, wants, and ‘would be nice if’s. Start looking for venues that check off a lot of your boxes. Kristie and Sam knew they wanted something in New England, something outdoorsy to match their lifestyle, a place that would hold their family and friends on-site. They knew they wanted a barn and an outdoor ceremony. Having a checklist of wants made it easier for them to narrow down their location choices. Find dates that work for you (and your nearest and dearest) – Kristie and Sam are having a Jewish ceremony on a Sunday. So that more of their family and friends could attend, they wanted a three-day weekend. After you have your list of venues that check off your important boxes, see if they have a date that works for you. Research, Research, Research – Thanks to the internet and sites like WeddingWire and the knot you have a lot of options to research possible venues. Also, research the area. Are there attractions and things for your family and friends to do and places to stay? Kristie and Sam were excited to have Tuckerman Brewing Company so close to the venue. They chose to have their rehearsal dinner there. They also love that there is the Conway Scenic Railroad, kayaking, and hiking all nearby for their family and friends to enjoy. Read the reviews! – Online reviews are tricky. In the case of choosing your venue, do your due diligence and read the reviews. Be mindful that some people enjoy leaving bad reviews. If there is something in a bad review that alarms you, bring it up to the venue. Ask them about the situation and if they are confident that won’t happen again. 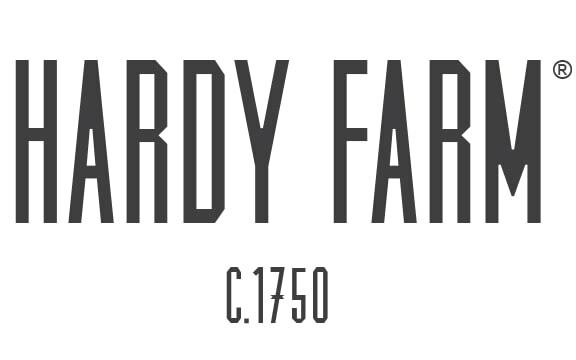 Kristie and Sam read lots of reviews of Hardy Farm. They loved hearing about how great Greg and Deborah were. It was reassuring to hear about how responsive they were leading up to the date. Google Maps are your friend – Everyone can make a website or brochure look nice. Get the address of the venue and give yourself a walking tour of the neighborhood. Skype or FaceTime with the venue for a real feel – Ask the venue if they would be up for a video call. Do a personal walk through using just your computer or iPhone. While on the phone with the venue, have good questions for them – ask about any upcoming renovations. At this point, you should also feel a connection with the venue and the people managing it. Kristie and Sam felt a connection with Greg and Deborah when they talked to them. They exceeded their expectations, really made them feel cared for and like they were in good hands. Booking a wedding venue from thousands of miles can be hard. Like Kristie and Sam, if you do your homework, you can make it happen. Kristie and Sam are back in New England and were able to come up to Hardy Farm recently. In-person exceeded their expectations but we have to give them credit for being organized and knowing what they were looking for in a venue. We can’t wait to celebrate with them this May.